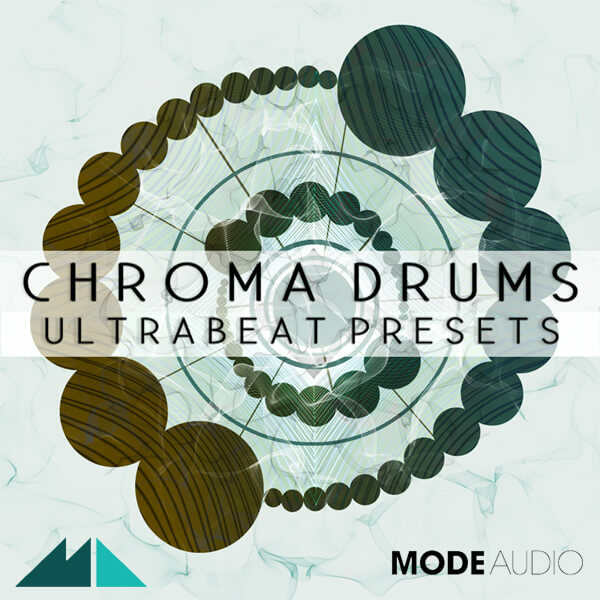 ‘Chroma Drums’ is ModeAudio’s precision-engineered collection of presets for Logic’s unrivalled Ultrabeat drum synth. Featuring 4 complete banks of drum patches, at the heart of this pack of percussive fuel are 100 presets of smooth kicks, silky snares, slicing hats and metallic percussion. The sounds are presented in instrument banks as well as 5 drum kits, and we’ve also bundled in 24 MIDI loops and 3 channels strips to offer Logic users a complete electronic drum production solution. Sometimes mistaken as a mere drum sequencer, Ultrabeat is in fact a fully functioning drum synth with two adjustable oscillators, resonant filter, noise generator, 2 LFOs, 4 assignable envelopes, distortion modules and a whole lot of attitude! We’ve studied its every detail to create this set of 4 complete preset banks, including kicks, snares & claps, hats & cymbals, and percussion sets. Far from simply reproducing those classic drum machine sounds, ‘Chroma Drums’ offers a host of micro-designed presets from the startlingly natural to the engrossingly electronic. Also included are 24 MIDI loops covering House, Minimal, Dubstep, Future Garage, Hip Hop and Trap, so you can try out the presets in context. On top of this, we’ve bundled in 3 channel strip settings so you can compress, saturate and enrich your patterns to create a fuller, fatter drum sound straight after download. Allow us to introduce you to the beauty and the beast of drum design – inject ‘Chroma Drums’ into your music now.